One of our earlier blog posts described how wetlands function to regulate stormwater runoff, improve water quality, recharge groundwater, protect coastlines, and provide valuable habitat and food supplies for fish, amphibians, birds and mammals. Wetlands are an important and integral part of the natural environment and of the water quality cycle; that is why there are laws in place at the local, state, and federal level to protect wetlands. These laws regulate the types and extent of land use and development near wetlands, shorelines, and streams. Violations of these laws can lead to severe penalties, including fines and imprisonment. 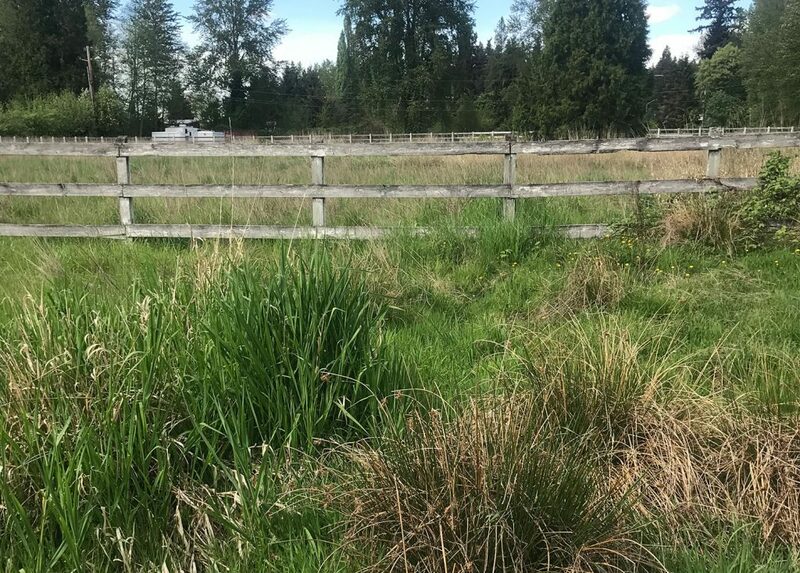 The presence of a wetland, stream, or shoreline on a parcel will affect not only how the land can be developed, but if it can even be developed at all. Because of these regulations, it’s important to determine wetland presence on a site before development begins. Wetland? Not a Wetland? An area that looks dry may actually be a wetland. Sometimes the real answer lies below the surface. If the property contains a damp, soggy, or wet area it may be a wetland – or maybe not. Or the property may look dry but there are wetlands present. So how can you tell? Wetland inventory maps can usually be found on County and City websites; however, they should be viewed with caution. These maps cannot be relied upon to illustrate the actual presence and extent of wetlands, as they are not based on detailed site inspections. If wetlands consisted of nothing more than wet soils or shallow standing water, even large puddles could be considered wetlands – but the existence of just one element (water) doesn’t mean an area is a wetland. Where are the shallow water or wet soils situated in the landscape? What kinds of natural and/or man-made features are in the immediate area and nearby? Are the soils in the area mostly sandy, loamy, or heavy clay? 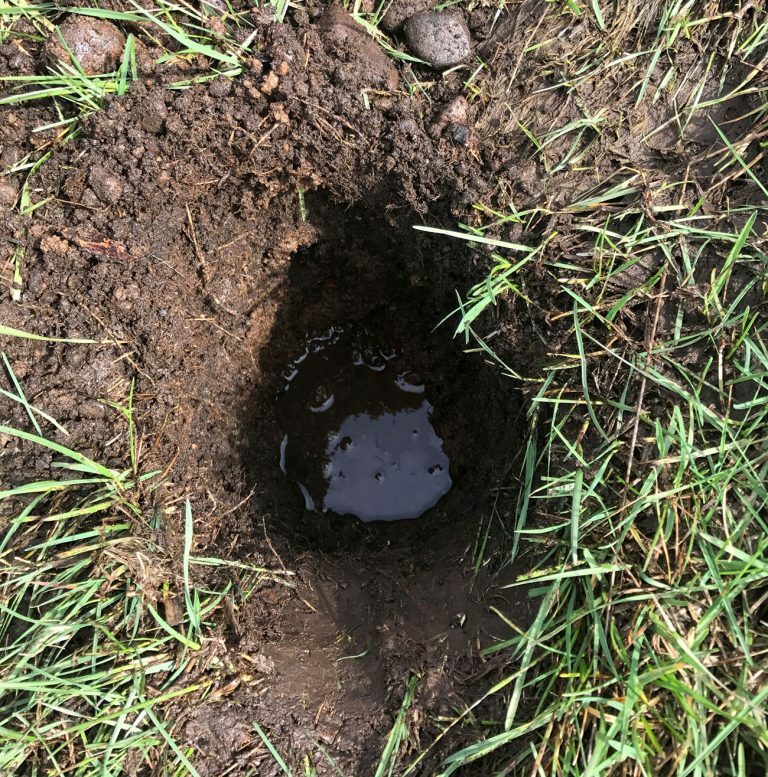 Do the soils hold water or do they drain quickly? Are the soils hydric or non-hydric? Hydric soils form when soils are saturated by water or flooded for long periods of time and become anaerobic (lack of oxygen). Prolonged soil saturation results in the displacement of oxygen within the soil pore spaces by water and in a transformation of other soil minerals. This in turn creates a soil environment that is highly stressful to plants that do not have adaptations to survive in this soil environment. If so, what kind of plants, shrubs, and trees does the area contain? 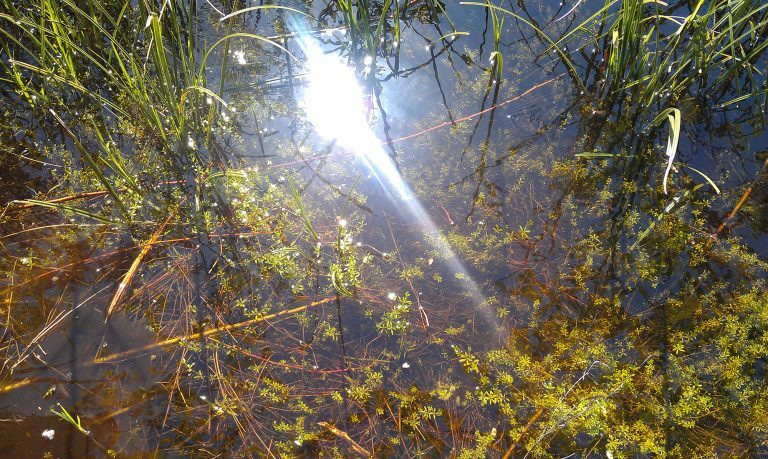 Are the plants hydrophytic – water loving plants that grow either partly or totally submerged in water or waterlogged soil? Are the plants non-hydrophytic – plants that cannot tolerate waterlogged or saturated soil conditions? Groundwater seeps, precipitation, or from an ocean, river, or stream through shallow interflow, or flooding? Is the water moving or still? Is it affected by currents or wave action? Is it freshwater, saltwater, or some combination of both? Is the area being used by (or does it have the ability to support) fish, amphibians, reptiles and/or other wildlife? Don't assume anything! 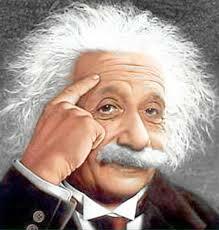 Even geniuses test their assumptions by gathering facts and data. Soil layers can clearly be seen on this sample from a data pit. Hydrophytic plants comes in all shapes and sizes. A dry area may have groundwater just a few inches from the surface. All these factors must be considered when determining whether an area is or is not wetland. Let’s take another look at that large puddle: There is standing water in a depression in a relatively level area. The water appears to come from precipitation, the vegetation that is present appears to be lawn grass, the soil appears to be sandy, and no amphibians, fish, or wildlife seem to be using the puddle as their habitat. Initial appearances can be deceiving, so a wetland scientist will investigate that puddle in greater detail. Does the lawn grass also contain any hydrophytic grass species and perhaps other herbaceous plants that may go unnoticed by the casual observer? 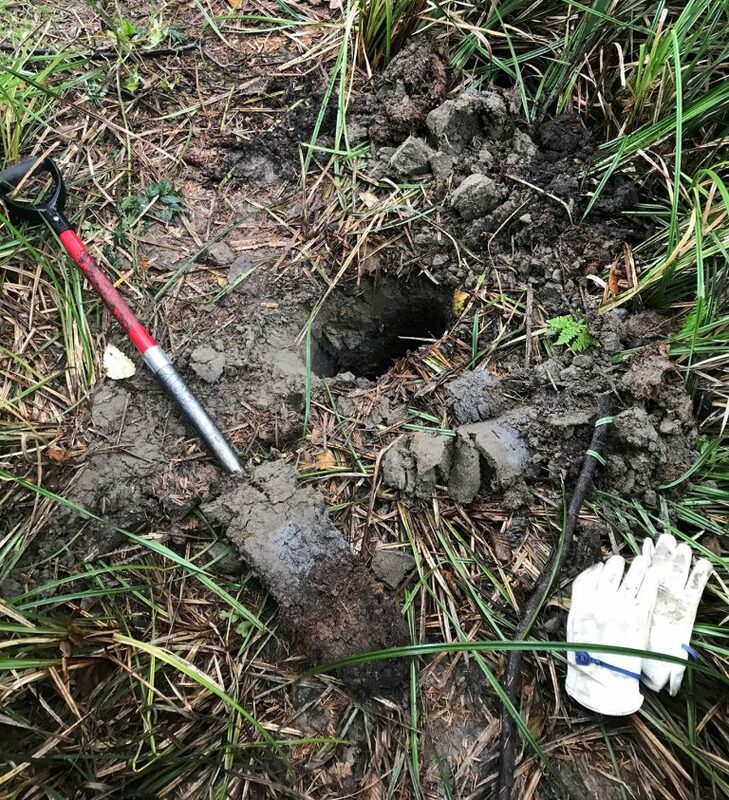 A wetland scientist will dig data pits to evaluate soil composition and determine whether groundwater is present and how persistent it is. 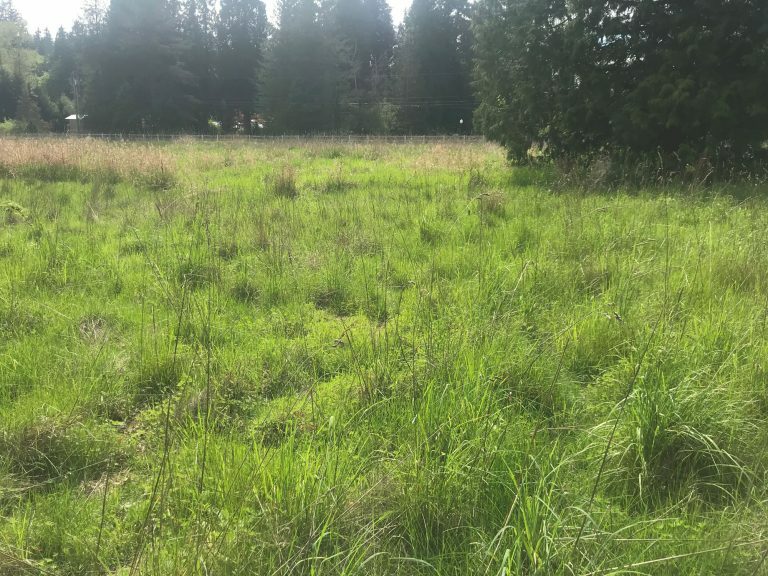 They will analyze the location of the feature and the topography of the area to make a determination about whether a wet area is indeed a wetland and what type of a wetland it is. Rather than make what may be an incorrect assumption about an area, a professional wetland scientist has the expertise and knowledge to accurately determine the wetland status of mapped and unmapped wet areas. This helps preserve critical wetland areas and can keep landowners and prospective developers out of trouble.